Scaling Visa’s biggest product initiative and building the first design system for payments. Visa Checkout is Visa’s ecommerce payment solution that allows cardholders to store their payment information and check out quickly and securely on merchants’ sites. Introduced in 2013, it has since evolved into a family of four digital products that can be integrated into different environments to allow for payment ubiquity. I managed a team of six designers, who worked across four product tracks. The products were developed in an agile environment, with full stack teams and product owners. As Creative Director, I also provided overall creative direction and managed design’s relationship with product, development and marketing teams. As a payment network, Visa’s success hinges on its partnerships with merchants and banks. Providing due diligence to those partners added another level of complexity, but being able to maintain great relationships with those partners was a great source of pride for me. 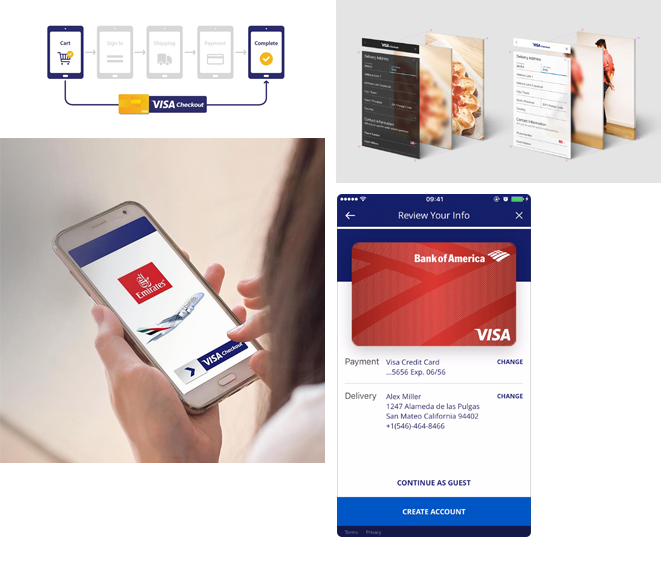 During my time at Visa, I was also able to help create the Visa Design System for digital product experiences. The system is based on a set of four user experience principles, and is comprised of a library of reusable components that can scale across an endless variety of products. Along with the building blocks of the system, we created a set of guidelines and prototypes so other teams could utilize the system and build upon it.